Spend an unforgettable 3 hours on our comfortable air conditioned Mini-bus and get an overview of New Orleans. Experience the history and culture of the Creoles with your licensed tour guide. No trip to New Orleans would be complete without seeing the highlights of our city and the some of the areas affected by Katrina’s flood waters. Join your professional guide for a day tour of New Orleans. 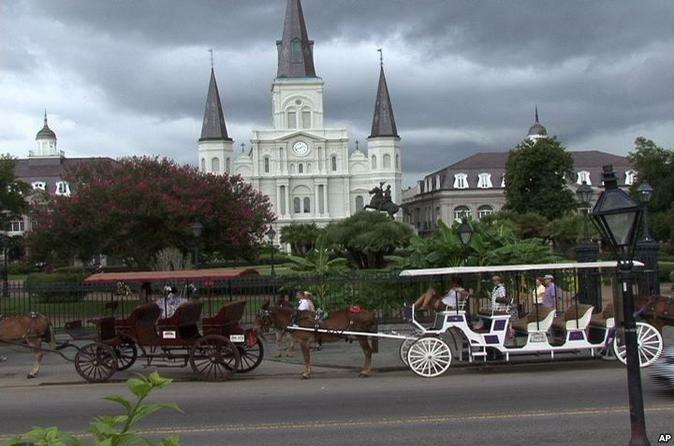 On this tour you will first visit the French Quarter and learn all of the history surrounding the French Quarter. Your guide is knowledgeable and will be sure to point out to you highlights and photo opportunities. After visiting the French Quarter you will then head to the Garden District of New Orleans. After viewing the garden district the tour then proceeds to visit the lakefront area and the 17th street canal, affected by the hurricane Katrina. Then visit the city park. At the end of the tour, to conclude, your guide will take you on a museum tour, showing you some of the most unique grave architecture and burial plot management in the entire United States. This tour picks up and drops off from all major Downtown New Orleans Hotels.